Your little sister has been kidnapped by two Brothers of Fate! With the help of a third Brother, it's up to you to save her. With the odds stacked against you, can you find a way into another world and rescue her in time?! 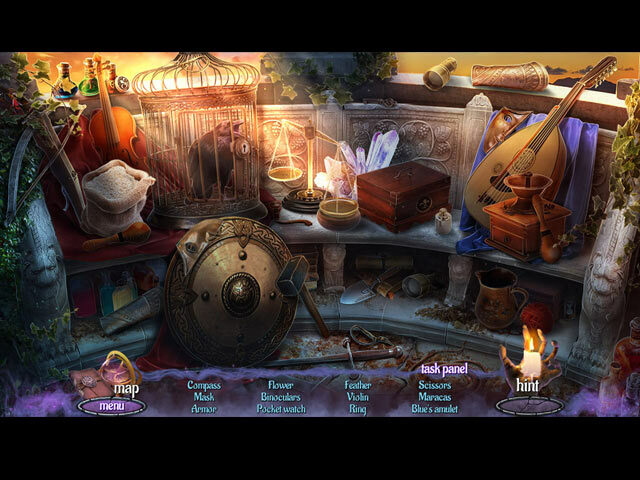 Find out in this spell-binding hidden-object puzzle adventure! Surface: Strings of Fate is rated 3.7 out of 5 by 15. Rated 5 out of 5 by jimanddelora from Loved this I really enjoyed this game. The HOP's are different than the normal ones and the games are challenging,I hope to see more of this type of game! Rated 5 out of 5 by baaholly from Defeat those smug brothers I love the Surface games. As other reviewers have observed, this is similar to Game of Gods, can even be called installment two of GOG. OK, yes, we have saved our sisters countless times, and this is the ultimate goal of the game. The adventure to accomplishing this is loads of fun. 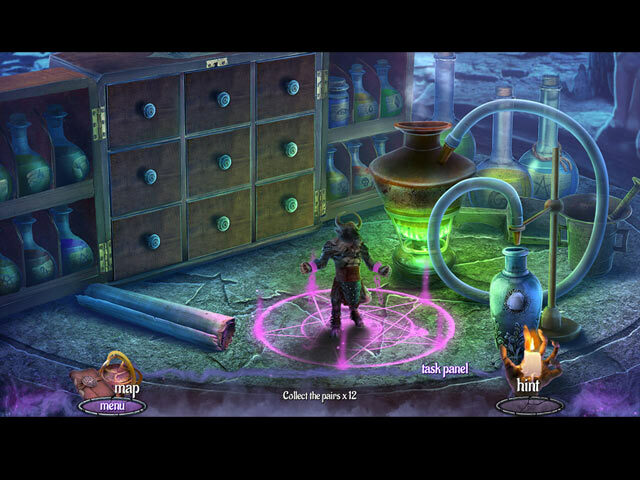 Great artwork, different HOS, challenging puzzles and mini games. At times I found the instructions to mini games confusing, but once I started trying, it became clear what they were getting at. I wanted this game since playing the demo when the CE came out. The appeal of CE s is totally lost on me, so I waited for the SE to be released. I had a great time playing it. Rated 4 out of 5 by ninja226 from Reluctantly 4 stars The artwork is top notch, as are the video cut scenes and voiceovers, but rest of the elements for a fantastic game are missing. It starts out great, with intriguing story, but devolves into mediocrity as the game progresses. There are more puzzles than HOPs, which is rather sparse. All but 2 puzzles are easy to solve. If the story were as good as the graphics, it would be an awesome game. Reluctantly I give the game 4 stars because the artwork made an average storyline, average puzzles and HOPs, more enjoyable. As always, judge for yourself. 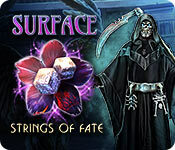 Rated 4 out of 5 by mattiehelen2002 from Surface: Strings of Fate Loved this game and the challenges and fresh approach to the puzzles and the HOs. What I did not like is that I could not go back and find all the flowers in the extras section. I was really disappointed because I could not play the hidden games. There were no awards for any accomplishment. 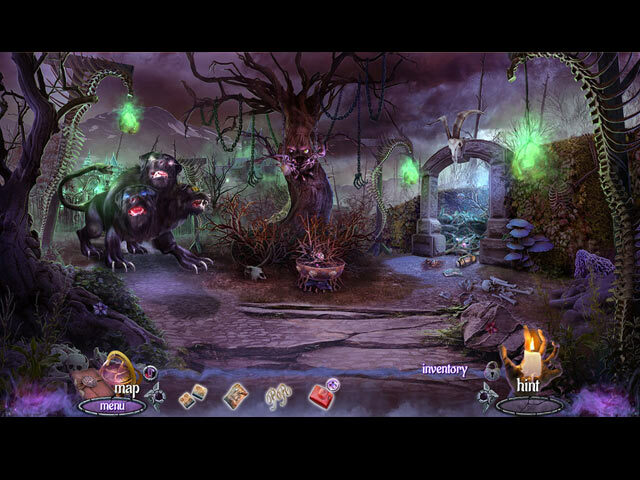 Rated 3 out of 5 by netnanna from Elephants aren't what they were :( Very disappointed with this game, nothing new in it, storyline was weak, more runes, spells and magic looking for lost sister. Heard it before? yes, that's how I felt, kept hoping mini-games would lift it, but they didn't. Perhaps I'm just HO jaded, give it a try, we gamers are so different that you may enjoy it. Rated 3 out of 5 by childofgod4 from I was bored I was excited to see a new Surface game and I did not try it before buying it because the previous games have all been excellent. This game did not meet their previous standards.